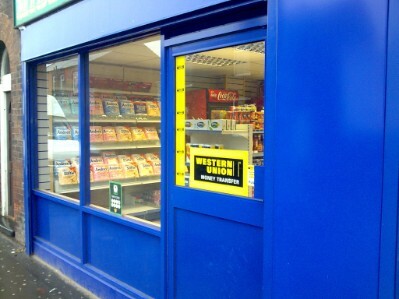 Stoke on trent shop fronts supplied and fitted. Mane install aluminium shop fronts in Stoke, the shop fronts come in any colour and to the design that you require. Also covering Newcastle-Under-Lyme, Stone, Leek and Ashbourne. A new shop front will give your shop a completely new look and drive in extra customers in Stoke, remember the first impression a customer has of your shop is its shop front. All of Mane's shop fronts in Stoke are made from aluminium. Aluminium is strong, easy to look after, comes in any ral colour you require and will last for many years. The entrance doors are made to last for many years and with stand the constant use of customers entering your shop. If you require a new shop front in the Stoke area please contact us on 01782880023 or email neil@manedoors.com. We offer a free quotation on all new shop fronts and can often give you a rough idea of cost through a quick email. Mane also carry out repairs to aluminium doors in Stoke so if you have a faulty door or lock please contact us for a free quotation, Mane can change faulty door closers on glass and aluminium doors, repair doors that are catching on the floor and fix a door that will not close fully.